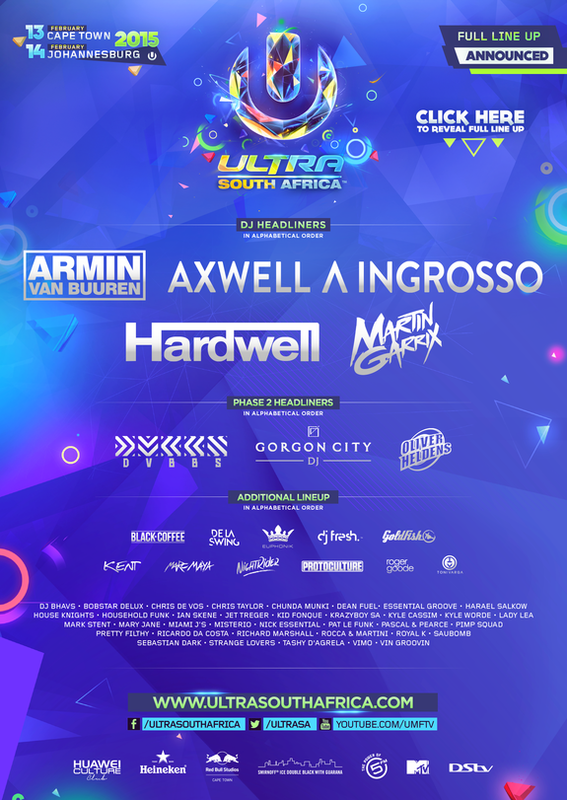 Merely a week after revealing the Phase One Lineup for their marquee event at Bayfront Park in Miami, Ultra have dropped the entire roster for the second edition of Ultra South Africa. After the resounding reception it recieved in the first installment from a thunderous crowd of approximately 40,000 ravers, there was unimpeachable excitement within the African dance music lovers with regards to the second edition. And with the revelation of this kind of a line-up, Ultra have proved why they are one of the best in the business when it comes to delivering a cracking artist index. 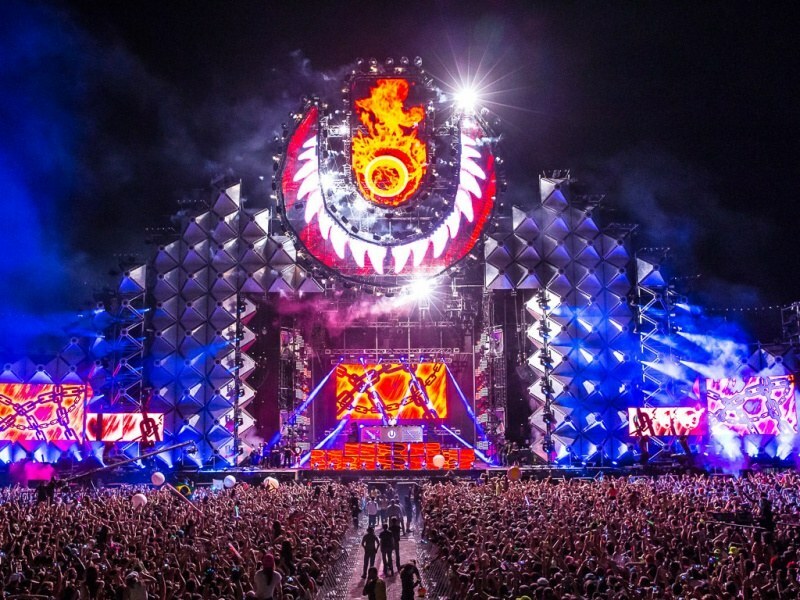 Still reeling from the death of their co-founder Alex Omes, Ultra are back to business and have announced the Phase 2 Lineup which completes the artist inventory of their first festival of the calendar year. Joining the list of pre-existing headliners like Axwell Λ Ingrosso, Hardwell, Armin Van Buuren and the latest entrant into the Forbes ’30 under 30′ list, Martin Garrix are Canadian brother duo DVBBS, 19-year old Dutch prodigy Oliver Heldens and English duo Gorgon City. The fascinating catalog of artists is capped off with a native touch, with adroit local lads like Goldfish and Black Coffee leading the bandwagon of an opulent quantity of homegrown artists. A stacked line-up was expected, given the fact that this is just the second edition of the festival in South Africa and, keeping that in mind, Ultra have incorporated native talent to keep things glistening. The venue for this captivating celebration is Cape Town’s Ostrich Farm on February 13, which will be followed by the Nasrec Expo Grounds in Johannesburg on February 14. If your deciding to make the pilgrimage to this weekend blockbuster, you can book your tickets here. Make sure you have a look at the invigorating aftermovie of the 2014 edition below to get a fair idea of what’s going to go down at this walloping festival! Image credits: Rukes.com, Ultra South Africa website. Next article Tomorrowland bags No.1 in Top-10 festivals list!